Access our premium training videos below. From technical to business information, these videos will help save you money and time in the field by having the most up-to-date information on crucial topics. 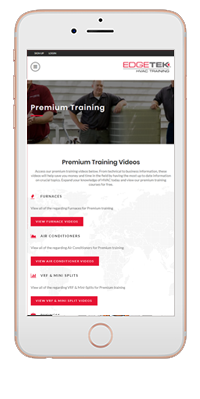 Expand your knowledge of HVAC today and view our premium training courses for free.